The Department of Labor has put one of the Obama administration's most controversial regulations on hold. The Obama administration attempted to give the agency oversight of the relationship between financial advisors and retirees, sparking objections from critics who said it would drive up costs. The Labor Department was expected to deliver and implement a new rule on Jan. 1, 2018, but will postpone that process until July 2019. The Department says the delay is needed reevaluate the scope and specifics of the regulation, which would have placed increased scrutiny on a financial advisor's incentives and that of prospective retirees. The department said it needs to take a longer-term look at the practical implications of its past regulatory judgment in light of criticism from the industry and President Donald Trump's call to revisit the rule. 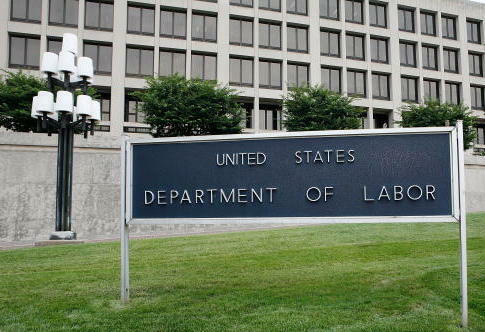 "The Department will not pursue claims against fiduciaries working diligently and in good faith to comply with the Fiduciary Rule and PTEs, or treat those fiduciaries as being in violation of the Fiduciary Rule," DOL said in a release. "The extension gives the Department the time necessary to consider public comments submitted … including whether possible changes and alternatives to exemptions would be appropriate in light of the current comment record and potential input from, and action by the Securities and Exchange Commission, state insurance commissioners and other regulators." A 2016 Chamber of Commerce study estimated that the rule would price many prospective retirees out of the market of hiring financial professionals to manage their savings as they head into their senior years. The regulation would limit commission-based operations, leading financial firms to embrace fee-based management. This could hinder those with smaller accounts from gaining access to retirement advice because of the "substantial threat of unwarranted litigation," according to the Chamber's analysis. As many as 7 million retirement account owners "could lose access to investment advice altogether" and 92 percent of investment firms "could limit or restrict investment products for their customers, which could ultimately effect some 11 million households." The department established the Fiduciary Rule in 2016 under the leadership of then-Labor Secretary Tom Perez, who now leads the Democratic Party. Perez hailed it as "historic" in an exit memo posted to the White House website. He said the rule would protect consumers from financial advisers who steer them toward investments that come with more lucrative fees, rather than those best suited for their future plans. "In 2016, the Department took a historic step to protect the savings of America’s workers—the conflict of interest rule makes sure that professionals providing retirement investment advice have to give advice that’s in the best interest of their clients and not divert their clients' hard-earned income into their own pockets through hidden fees and conflicted advice," he said. The proposal instigated opposition from investment firms and lawmakers, who said it would lead firms to abandon small dollar clients to avoid push back from regulators. In May, Rep. Phil Roe (R., Tenn.), a member of the House Committee on Education and the Workforce, sent a letter to Labor Secretary Alexander Acosta asking him to block its implementation. Roe welcomed the department's delay on Monday. He called it "a step in the right direction," but said dismissing the rule is the only way to ensure retirees have access to affordable financial advice. "While an 18-month delay to the [proposal] is welcome relief, it must be followed by a clear signal that the department intends to amend the rule to ensure their affordable retirement advice is preserved," Roe said. "I continue to believe implementing this rule at any point in the future will cause nothing but higher costs and fewer options for our low- and middle-income investors, the folks who need the assistance most." Roe is the author of the Affordable Retirement Advice for Savers Act, which strictly define conflicts of interest between an investment advisor and his client. Rep. Virginia Foxx, chairwoman of the House Education and Workforce Committee, said the Fiduciary Rule outlined by the Obama administration failed to properly weigh the practical consequences of curtailing the incentives for financial advisors. Foxx praised Trump administration for encouraging input from the private sector on retirement issues, saying the federal government needs to "carefully evaluate feedback from working Americans, retirees, and retirement experts on the viability of the Obama-era Fiduciary Rule." "It is encouraging to see the Department extend this transition period while it considers changes that could reduce costs and increase investment advice access for retirement savers," Foxx said. "Protecting hardworking Americans from the flawed fiduciary rule remains a priority for the committee." The department said it expects to conclude a review of the rule by July 2019. This entry was posted in Issues and tagged Department of Labor, Obama Administration. Bookmark the permalink.